Able Locksmiths in Manchester NH is a mobile locksmith company. Providing expert 24-hour emergency locksmith services, Able Locksmiths has proudly served the Manchester, Nashua, and Concord New Hampshire communities since 1996. At Able Locksmiths, we always put the customer first, responding quickly to a wide range of home, business, and automotive security needs. Fast, reliable, and courteous service are the hallmarks of Able Locksmiths. Residents of the greater Manchester area rely on us for rapid responses to security issues, day or night, in any weather, any time of year. Able Locksmiths is a certified, registered locksmith company dedicated to personal care of each and every client. Our customers are also our neighbors, so we view each job as a contribution to our neighborhood. Whether you’ve been locked out of your car or home, need a professional to fix locks at your home or office, or require new locks installed, Able Locksmiths has the experience to solve your security issues quickly and affordably. 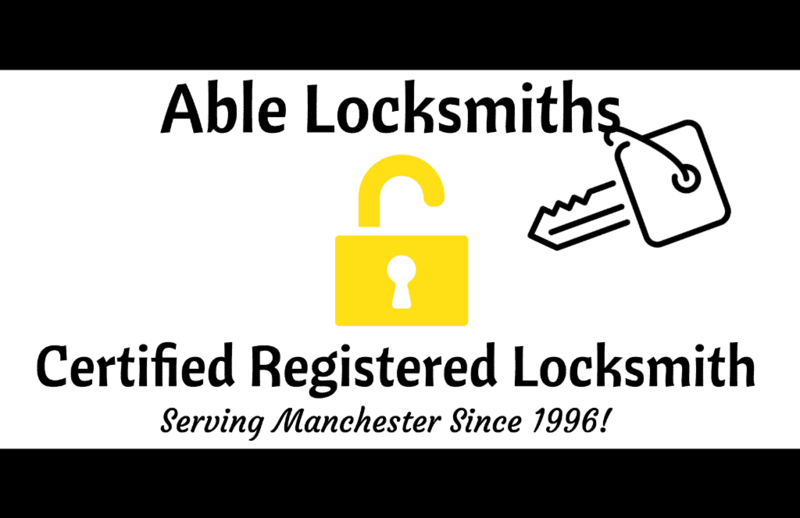 At Able Locksmiths, we focus on providing 24-hour service within a 30-mile radius of Manchester, N.H. We take enormous pride in responding speedily to customer calls and completing the task with equal speed and precision. We are never deterred by complicated residential or commercial security problems, and we are ALWAYS on duty to assist you, rain or shine, balmy or blizzard. 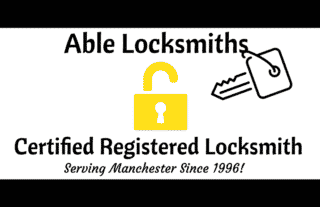 If you are a resident of the Manchester, Nashua, Concord areas and wondering “is there a locksmith near me?”, call Able Locksmiths first for the very best in professional home and business locksmith services. When you need a fast, reliable locksmith to unlock your car in an emergency, Able Locksmiths is the professional to contact at any time, under any conditions. While other locksmiths are closed or unwilling to brave the harsh New Hampshire elements, we will be there to assist you. Able Locksmiths has been New Hampshire’s most reli“Able” locksmith for more than two decades. The hallmark of Able Locksmiths is our 24-hour emergency service available to all residents and business in the Manchester, New Hampshire region. While others advertise around-the-clock service, we have built our reputation on being available at any time, showing up to your emergency at any time, and resolving your security crisis at any time, under any conditions. When you call Able Locksmiths, we WILL respond to your needs and fix the problem fast. Losing the key to your home, car, or business is bound to happen at some point. Unfortunately, this stressful situation often occurs late at night when you are at your most vulnerable. When a lockout happens to you, DO NOT PANIC! Able Locksmiths remains on-call 24 hours a day for just such emergencies. No one knows more than an experienced locksmith the frustration associated with a house lockout, car lockout, or business lockout. Able Locksmiths has remained steadfastly devoted to responding to these emergencies since our founding. The worst mistake anyone can make in a lockout scenario is to call the first locksmith to pop up on a smart phone search. This is precisely what scammer locksmiths count on to take advantage of your emergency situation, and your bank account. Be 100% certain that the 24-hour emergency locksmith you call upon for help is certified and accountable for the work performed. Able Locksmiths is the only call to make when you find yourself in the inevitable position of being locked out of your car, home, or business. Able Locksmiths takes tremendous pride in putting the customer first, all the time. Our fast night service and high professional standards are what set us apart from the competition, and have made us the most reliable locksmith in the Manchester, Nashua, and Concord communities. Message from the Owner: I’m a local Locksmith which provides mainly emergency professional unlocking and have professionally got over 10,000 consumers into their homes, vehicles, and businesses for about 20 years here in central NH. I show up on time usually within 20 minutes of consumers call and get them in promptly. I also install and rekey locks. I’ve been doing it here since ’96 and although NH doesn’t require or offer a locksmiths license, I’ve been registered with the State the entire time since ’96.